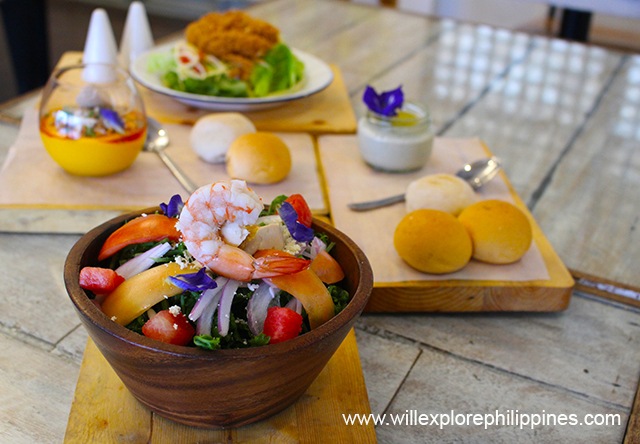 Cafe Fleur by Chef Sau Del Rosario is created to pay homage to Pampanga. 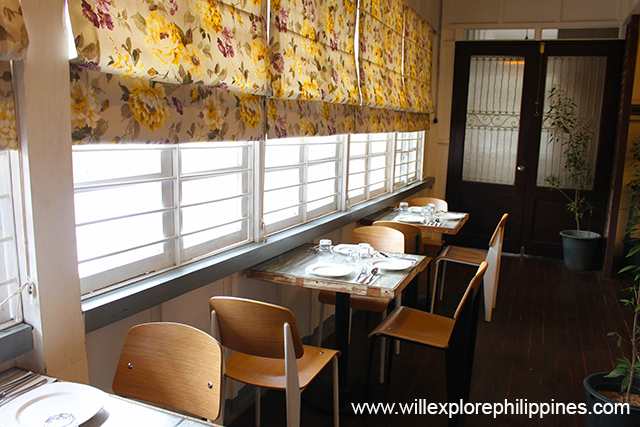 Chef Sau as a proud Kapampangan decided to go back to Pampanga after 17 years and unexpectedly a friend of him offered an old ancetal house to convert into a restaurant. 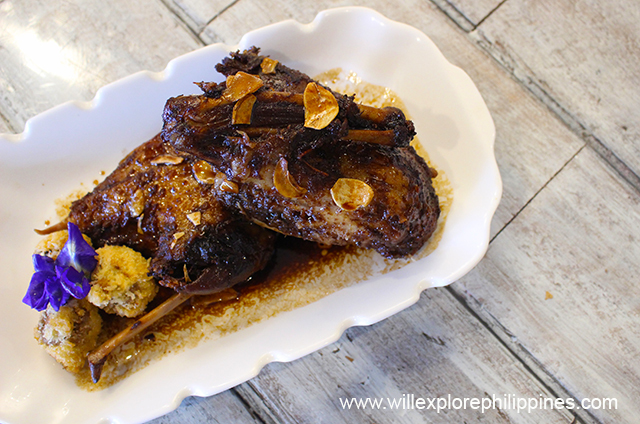 As a well travelled Chef with local and international working experience to top restaurants and hotels, he created a new twist with the traditional Kapampangan dishes also known as Avant Garde Capampangan Cuisine. 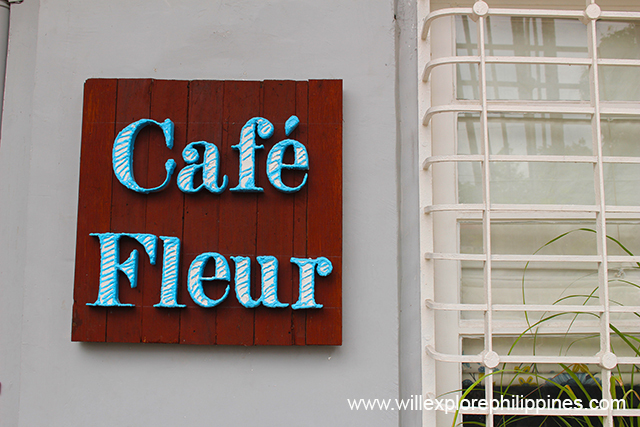 Fleur is a French word meaning flower, why Cafe Fleur? 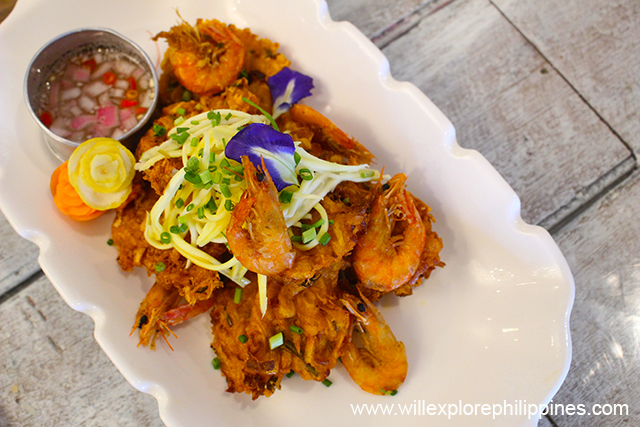 Chef Sau mentioned that his childhood memories reminds him living in their house which is surrounded with many flowers which is one of the best memories he had growing up in Pampanga. 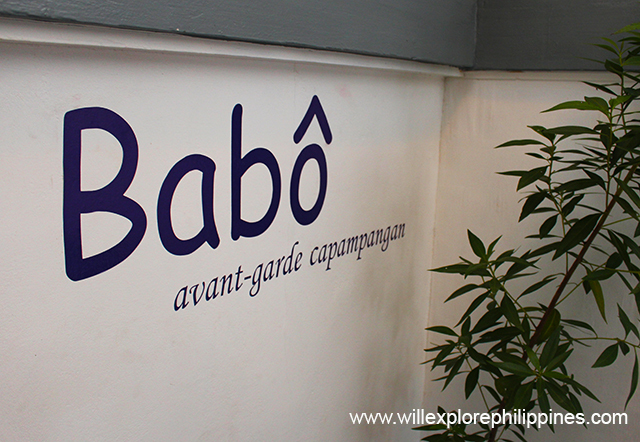 Babo is a Kapampangan word for upstair. 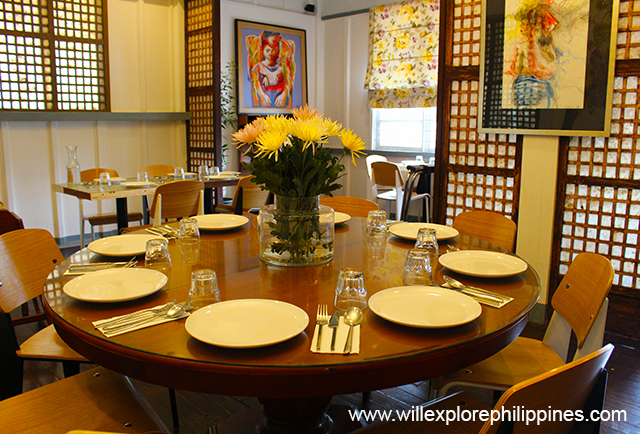 The second floor of the restaurant is decorated with wooden furniture, paintings and accents like you see in an old house in Pampanga. The place is picture perfect and the soft lighting is so relaxing. 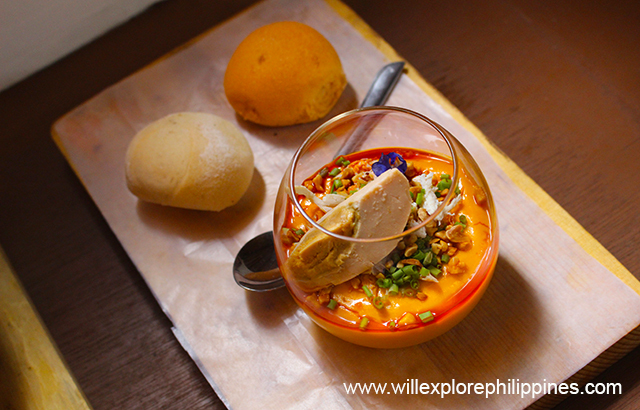 An appetizer made with coconut cream, annatto oil, rice flour, ground peanuts and salted egg. 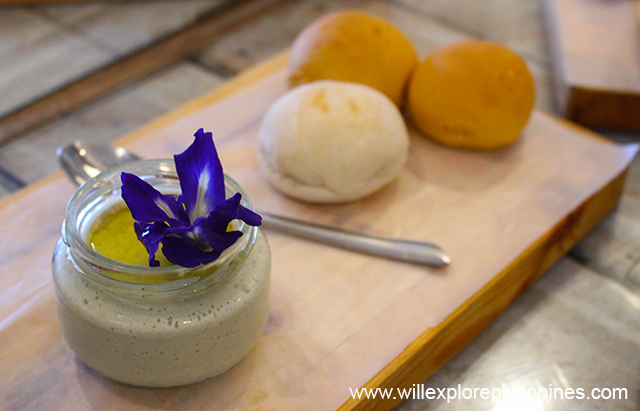 Instead of putting it in a banana leaf, Chef Sau put it in a glass and complemented with freshly soft bread. This mousse has a strong smoky flavor, I don’t like it that much actually. It’s a bit salty for my taste but some of my friends like it. So it’s worth a try I guess, you might like it too. 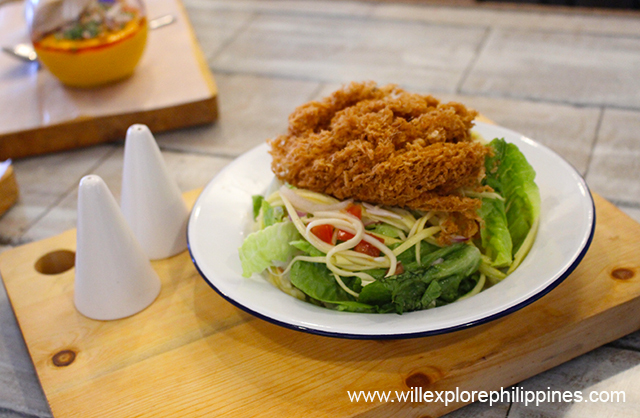 Cafe Fleur’s version of the Pako Salad which is very popular in the province. I like the freshness of this salad with slightly sweet vinaigrette. A refreshing salad with a playful texture. 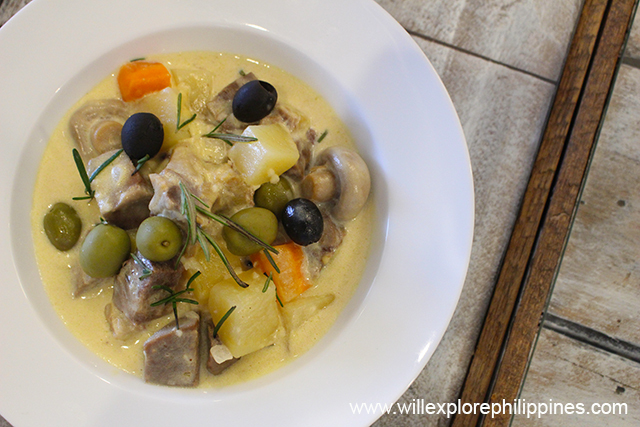 The tender beef tongue blend so well with the creamy and tasty taste. Perfect with hot plain rice. 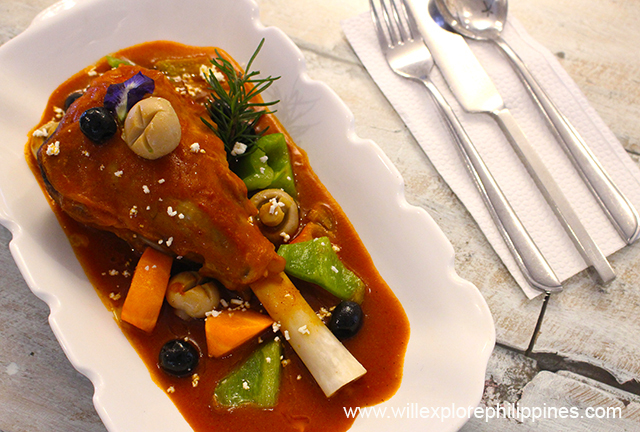 Tasty dish made with tender lamb meat, vegetables and rich tomato sauce. 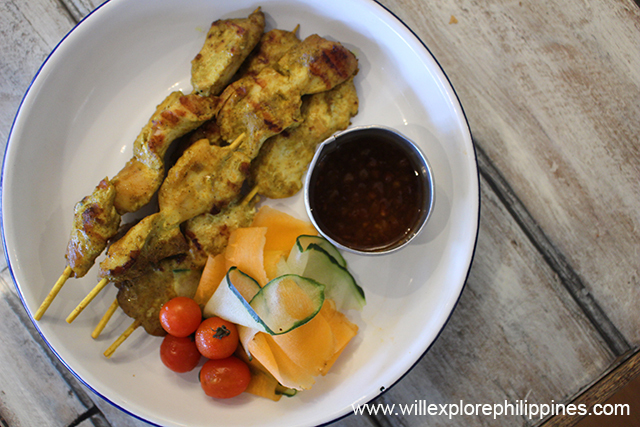 Traditional taste of chicken satay. Nothing so special about this dish, the way it should be, tasty and crispy complemeted with seasoned vinegar. 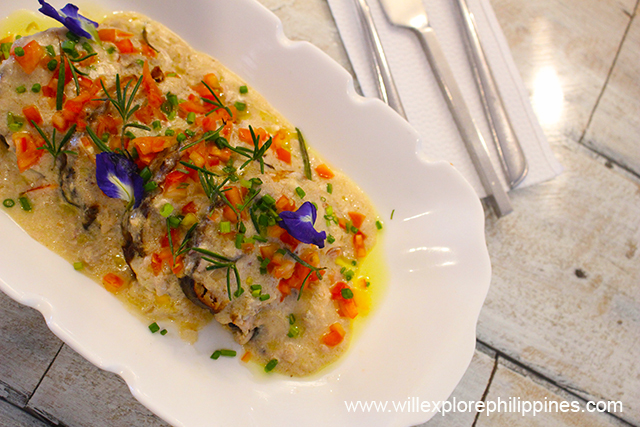 Stuffed Milkfish with creamy white sauce. Everything blend so well in this dish. 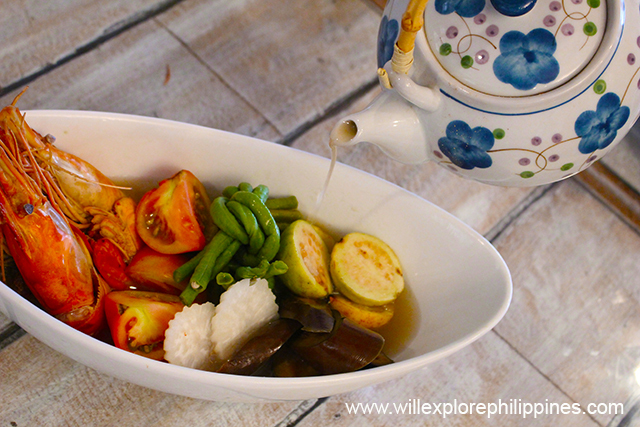 One of the comfort food in Pampanga which is made with fresh water prawns in a sour broth from fresh guava. As a Kapampangan, I’m a little bit picky with food as I always eat great food even in our own home so to be delighted with the food what we eat it means its really delicous. 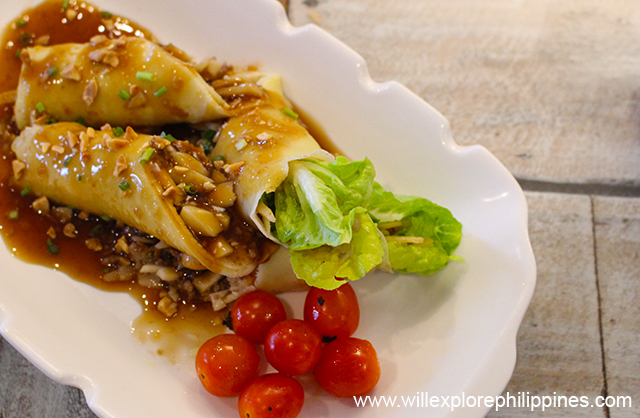 Kapampangan cuisine is known to serve delectable dishes that are rich in flavors and using only quality ingredients which Cafe Fleur is all about but with a twist that improved the original recipe of a certain dish. 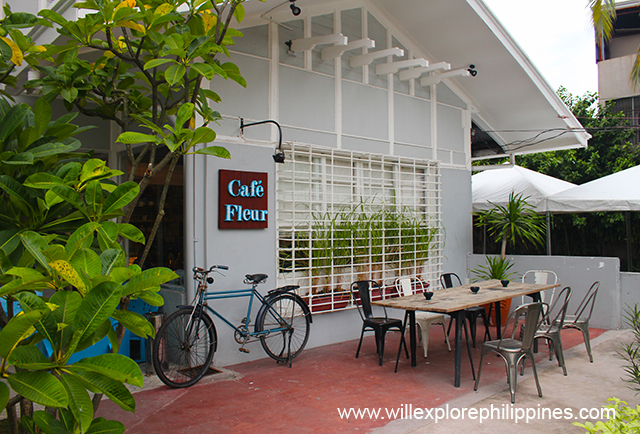 Cafe Fleur, I must say is one of the restaurant that Kapampangan should be proud of,because each dish characterized by the reach culture of Pampanga which is truly deserving to be called as the Culinary Capital of the Philippines.